The Los Angeles Times covered the death of The Rev. 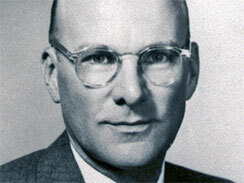 Frederick J. Eikerenkoetter II, may he rest in peace. Maybe we can all just get along if we all just follow Homer Simpson’s lead and just chug-a-lug a cold and frothy libation brewed from hops and barley? 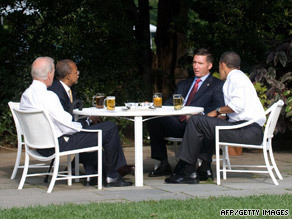 After the brouhaha over Professor Skip Gates being arrested in his own home by Officer James Crowley, and President Obama using the term stupidly to describe the goatrope, it seemed best to defuse all hostilities over a beer in the Rose Garden. Of course, as reported by CNN, not everybody in the vicinity of the White House was all peace and love over the liquid litigation. There was one protester who felt that the President should have set a better example by having a non-alcoholic libation. 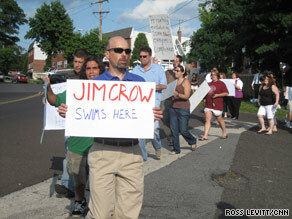 Maybe he would have put down his hand-made sign if someone had offered him a cold one? Still, it looked as if this national story might finally be put to bed. As noted in the UGO Movie Blog, there were twin Autobots that combined the antics of Steppin Fetchit with Amos & Andy, creating a spectacle that was less than spectacular. Of course, we found it hard to notice anything other than the fact that Megan Fox is the hottest actress in Hollywood... but, besides that... what was Michael Bay thinking? So I am scratching my head looking at my recent cable TV bill from another bill from one year ago. How did the price jump? They added a little here and a little there... and now, I am paying a lot! So, let’s look into Satellite TV as an entertainment option. But with all of the Satellite TV providers out there... how can one tell which is the best option to take? After all... once you make the investment in selecting a provider... and having that dish bolted to your domicile (that’s a fancy word for your crib, homey!)... what if you made a bad choice? Should I get Dish Network? Should I get DIRECT TV? Oh! So many choices! Which one should I choose? Which way should I go? We would recommend going to Kaptain Satellite’s web site (http://www.kaptainsatellite.com/compare_satellite_dish_tv.htm) and reviewing the voluminous (that’s a lot) facts and figures that will help you make the best selection to meet your home entertainment needs. Sound like a plan? A lot of pundits are drawing comparisons between Sarah Palin’s rambling farewell speech and Richard Nixon’s farewell speech. Hmm... will history repeat itself? If you follow the TPM Media web site, you will have seen the racist picture attributed to conservative activists. It seems that the originator of this post is a physician who is a member of the Doctors for Patient Freedom group. Not that I have followed this whole health care debate that closely... been busy working to pay those doctor bills. But it is hard understanding what all the fuss is about. On my first trip to the U.K., my buddy broke his ankle playing ball with the local kids. Got it patched up with a bottle of painkillers for free. I guess what is wrong is that being compelled to treat a sick person for free -- or for less money than one might expect to receive -- threatens profit margins. Of course, medical professionals should earn a good living and have the means to support themselves. The question is... are the ideas of providing affordable health care and of the medical industry being profitable two diametrically opposed concepts? And what was it that Jesus did most of all? Life imitates art when a renowned Harvard professor is dragged out of his home and put into handcuffs for the crime of... erm... being in his home. We were flabbergasted at the story, covered analytically in The Associated Press... reminding us that as much as things have changed... things haven’t really changed. Does this situation remind you of a certain motion picture that some people might have thought had an implausible premise? Dr. Henry Louis Gates Jr., the director of Harvard University’s W.E.B. DuBois Institute for African and African American Research, was arrested at his home in Cambridge, Massachusetts after a woman reported seeing a man try to pry open the front door. You can read the details at the New York Post. Technically... this is our very first video blog (VLOG) and is pretty cool... except for the Van Dyke beard created by a shadow under my chin... LOL! But nothing like cruising with some great music from KROQ! My friend Toy Lei will be promoting “The Hurricane Fist” at Comic-con in San Diego. The festival debut will occur on Thursday at 1430 (2:30 p.m. to you civilians). Toy will be joined by the director, producer, and other cast members for a Q&A session. If you go, tell Toy that Dwacon® sent you! Over the course of two decades... Walter Cronkite was the man American most trusted. Even more than the President of the United States. Until he was usurped by Dallas journalist Dan Rather... more Americans trusted Walter Cronkite than just about anybody. Uncle Walter exited the planet after 92 years. A good run. 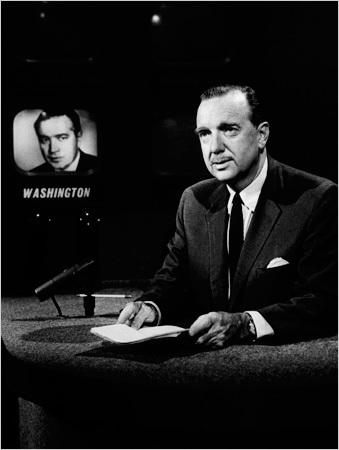 Making the change from print to broadcast journalism, Cronkite was no talking head. He brought a gravitas to the business that every anchor following had to try to emulate. The video below is perhaps Mr. Cronkite’s finest moment. More news on this pioneer of broadcast journalism at The New York Times and The Los Angeles Times. Just a heads up for the fashionistas out there that you only have a short while to save money with the Outlet at Bare Necessities... with savings starting at 40% OFF. With recession crippling the economy and unemployment at record numbers, there is one job option that few men may know about. And given that there are few moral obstacles (at least, the one big moral obstacle)... it may be worth considering. 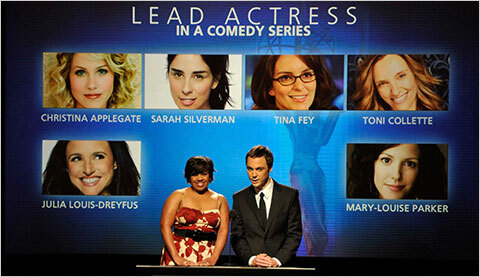 The Academy of Television Arts and Sciences... the organization that provided a scholarship that assisted Dwacon in getting his undergrad degree many moons ago... has released the nominees for the Emmy® Awards. Never before seen video from CNN showing Michael Jackson’s hair catching fire during the filming of a Pepsi commercial. Just a peek at morning traffic outside of Universal this morning. Rush hour yesterday afternoon was much more difficult... and lots of police out and about. 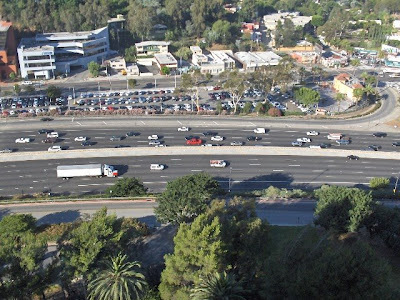 At first, I figured it was just typical L.A. traffic. I learned later that Roots, Reading Rainbow, and Star Trek star LeVar Burton was in a five-car wreck. Fortunately, LeVar/Geordi/Kunta Kinte was not seriously injured. For some reason, I never seem to mind the California traffic... especially when the sun is shining and In-N-Out burger is at the next exit. More on LeVar at the Associated Press. We read an unbelievable story at Bossip that alleges that actor Morgan Freeman is planning to marry his granddaughter. In the video below, the owners of the swim club that ejected African-American children explain that kicking them out is not racism. Maybe after you view this video, you will understand that. Maybe. See the full story at CNN. 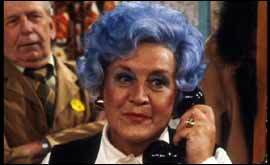 She is best known for her role as Mrs. Slocombe, starring beside EastEnders legend Wendy Richard from 1972 to 1985 in the hilarious BBC comedy, Are You Being Served? that still runs in repeats on this side of the pond. Reuters reported that Sugden exited the planet after 86 years. Sugden did other roles in the U.K., including one on the EastEnders long-term competitor, Coronation Street. We read the sad news at The Associated Press about the exit of Oscar G. Mayer, the third Oscar in the family of Weiner Meisters, at the age of 95. Meyer died of old age... probably the best way any of us could hope to make our departure. CBS News provides more details about the eponymous packaged pork product producer. Who Was That Hottie Playing Guitar With Michael Jackson? 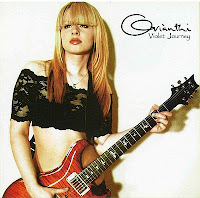 You can become one of over a thousand fans on her Facebook page or check out her MySpace page. Imagine the film Home Alone. Well, Nim’s Island is sort of like that. Well, only instead of a bee-sting lipped little boy, you have a precocious tween-aged girl. And instead of a house in the suburbs, it is a house on an uncharted South Pacific island. And instead of two bumbling burglars trying to break in, you have the entrepreneurial captain of a cruise ship and a bunch of over-weight, under-sunned, and questionably intoxicated Australian tourists. And instead of... well, you get the point. Nim’s Island is a fun motion picture that plays off of Abigail Breslin’s plucky tomboyish cuteness and Gerard Butler’s 300-ish toughness... but with a soupçon of tenderness for that aaaaaah factor. Even more interesting, Nim’s Island creates an interesting character for former child star Jodie Foster... a quirky neurotic who must overcome her many peccadilloes to become... well, I don’t want to give the whole thing away. When the young island-dwelling Nim (Abigail Breslin) loses contact with her scientist father (Gerard Butler) who’s lost at sea, she reaches out to her favorite author (Jodie Foster) for help. Problem is, the writer -- of adventure stories no less -- is a recluse who hasn’t left her house in years. Can the agoraphobic author summon the same courage she’s instilled in the hero of her novels in time to rescue her biggest fan? Get more details on this film by clicking one of the images on the right. Of course, you can also rent rent Nim’s Island from Netflix! This is a fun adventure for the whole family... and for those gals who want to drool over a shirtless Gerard Butler! The former NFL quarterback was found in a condo with multiple gunshot wounds. The details of this sad story are available from The Associated Press. July 1, 2009 - A handful of "Made in NY" films open in the month of July. She feels she can help people without having a title. Does that mean she won’t seek a national-level title? Well... at least she won’t have to worry about further clashes with John McCain. Or, will she? My only question... Where is the rest of it? More photos from more angles (you’ve been warned) at The Daily Mail.